One of the main concerns of any online business owner today is how to establish a relationship with customers so they will return to the website. 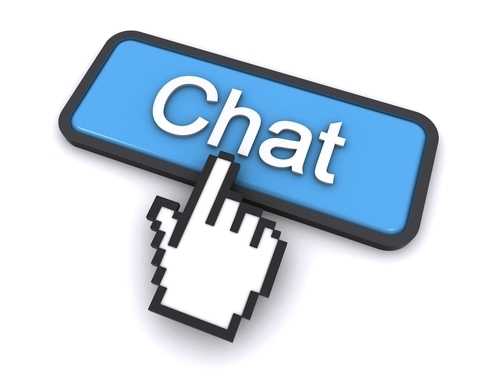 Many online business owners are using live chat services to help them connect with their customers. Consider a few of the specific ways that online business owners are using live chat to boost their bottom line. When a customer initiates a live chat session, a member of the support team has the opportunity to suggestive sell. For example, a person shopping the inventory of an online clothing store has a question for a team member about a sweater that is on sale. The support team member answers the question and then suggests a few other items that would complement the sweater. Of course, it’s possible that the customer could decline the suggestion and simply purchase one sweater. But, the suggestion may convince the customer that other items would further improve the quality of his or her wardrobe. A live chat session is one way for an owner to make additional sales. An online shopper who finds an item that he or she wants to purchase goes through several steps and clicks to arrange for payment, shipment, etc. This process doesn’t allow for any interaction with a representative of the store. However, a customer who opts to speak with a support team member via live chat gets the opportunity to interact with a representative. A shopper is free to ask a support team member about items in the inventory, shipping methods and even inquire about upcoming sales. This interaction personalizes the transaction and may encourage the customer to return when he or she wants to purchase another item. An online business or store that gives customers the option to live chat with a support team member may be able to avoid returned shipments. For example, a visitor to an online craft store may be looking for a frame for a photo. The person may not be able to judge the color of one particular frame by the image on the store’s website. So, she contacts a support team member via live chat and inquires about the color of the frame. It turns out that the frame is not what the customer had in mind. But, the representative is able to direct the customer to another frame that suits her needs. If live chat were not available, the customer may have purchased the frame only to return it later on. Live chat increases the chances that customers will get what they want. Finally, many online business owners get live chat service because they know it’s another way to leave customers with a good impression of the company. Communicating with a courteous, professional support team member via live chat helps a particular business stand out in a crowded industry. Should Business Owners Have Supers?